The '90s Zone: We're back, and in COLOUR. We're back, and in COLOUR. Sorry about the hiatus, I've been nostalgia'd out lately and haven't had the motivation to do any. 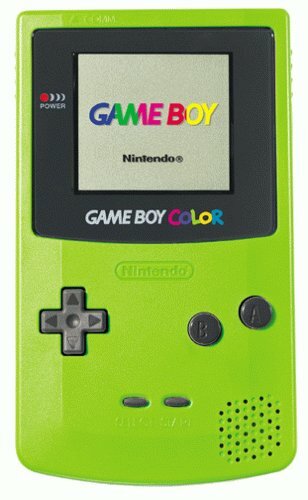 Let's get back to speed with a HUGE '90s icon: the Game Boy, or more specifically, the Game Boy Colour. Yes I realize the actual name is Game Boy Color but I'm Canadian so piss off. 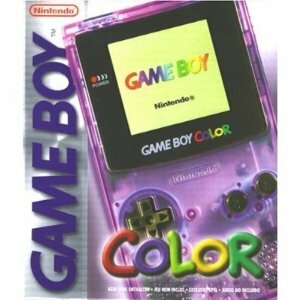 The Game Boy Colour debuted near what I consider to be the peak of the '90s, 1998. This is when true hallmarks of the decade like Pokemon and other such franchises washed upon western shores (we all know the west equals the entire world, remember). Like pretty much all electronics of the period, the Game Boy Colour came in several neonish paint jobs now considered to be eye-grating, with such lovely names as Kiwi, Midnight Blue, and Atomic Purple, the latter of which had your classic '90s see-through plastic. That see-through plastic dominated things like Playstation controllers (which we'll get into another day) and if you had it you were the coolest kid ever for being able to see the ~*circuit boards and parts*~ within your electronics. I had three different Game Boys because they got old/stolen: the yellow one, the green one, and the special gold/silver one with Pichu on it that came with Pokemon Gold. Memorable games for the system of course included the Pokemon series, the worst of the Tony Hawk ports, the The Legend of Zelda Oracle games, and much much more. A cool trick was to put in a regular Game Boy game and move the D-Pad in conjunction with the A and B buttons to change the pallet of your older titles. I thin B-Up was inverted. We used to call it night time. Though it was only three years before the Game Boy Advance would land, the Game Boy Colour had a lasting impression on many of our collective childhoods. It staved off bored, was a symbol of a new, rapidly changing electronic world, and provided countless hours of countless collecting and fighting our electronic animals. Truly one of the great titans of the 1990s. Easter Sunday; Nirvana and other fitting things.